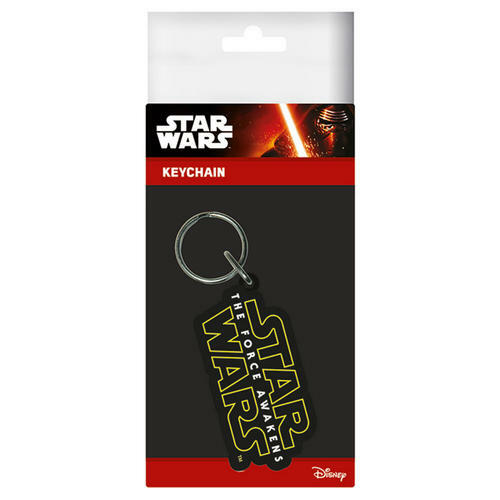 Star Wars: The Force Awakens Rubber Keychain featuring the iconic logo. Made of soft rubber and can be attached to bags, belts, keys and other items. Officially licensed. 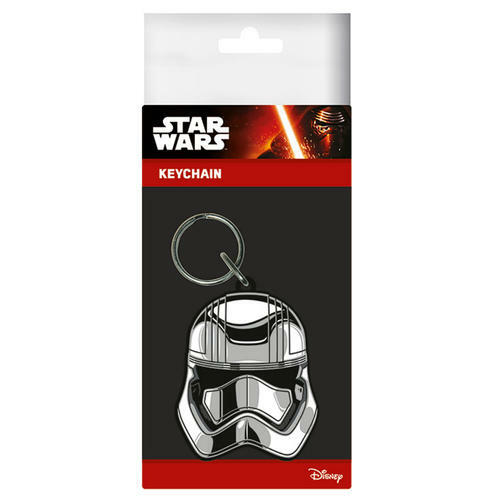 Star Wars: The Force Awakens Rubber Keychain featuring the Captain Phasma character. Made of soft rubber and can be attached to bags, belts, keys and other items. Officially licensed. 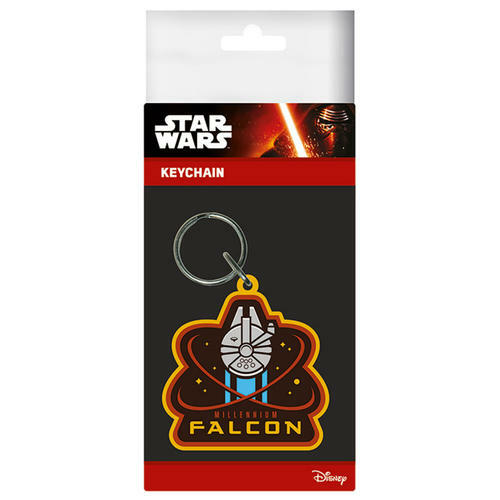 Star Wars: The Force Awakens Rubber Keychain featuring the Millenium Falcon. Made of soft rubber and can be attached to bags, belts, keys and other items. Officially licensed. Star Wars: The Force Awakens Rubber Keychain featuring the X-Wing. Made of soft rubber and can be attached to bags, belts, keys and other items. Officially licensed. 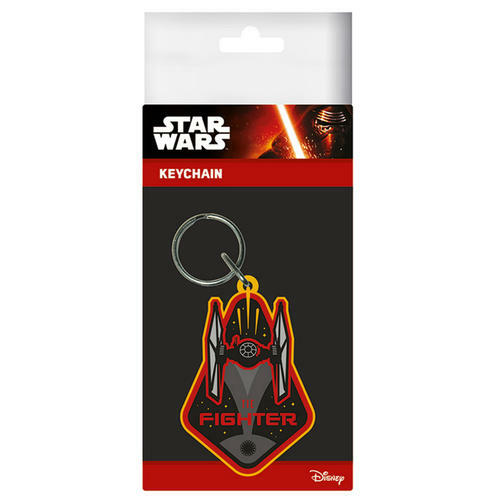 Star Wars: The Force Awakens Rubber Keychain featuring the Tie Fighter. Made of soft rubber and can be attached to bags, belts, keys and other items. Officially licensed. 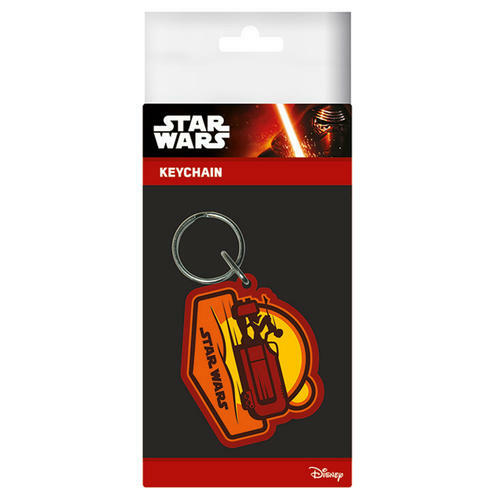 Star Wars: The Force Awakens Rubber Keychain featuring the Rey Speeder. Made of soft rubber and can be attached to bags, belts, keys and other items. Officially licensed. 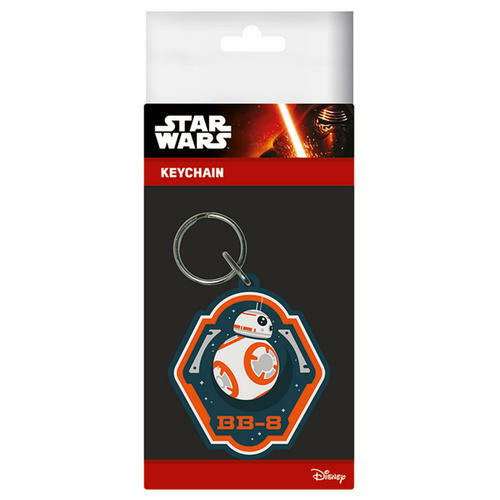 Star Wars: The Force Awakens Rubber Keychain featuring the BB-8 character. Made of soft rubber and can be attached to bags, belts, keys and other items. Officially licensed. 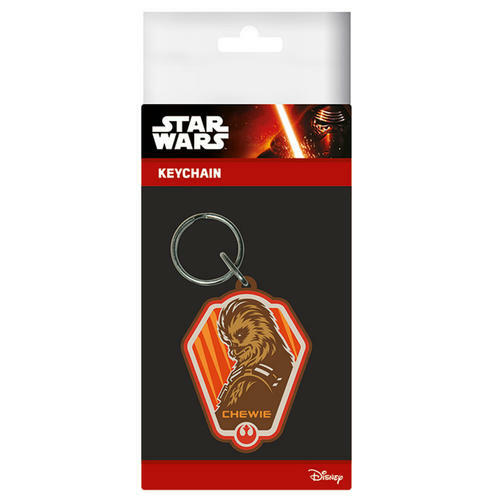 Star Wars: The Force Awakens Rubber Keychain featuring the Chewbacca character. Made of soft rubber and can be attached to bags, belts, keys and other items. Officially licensed. 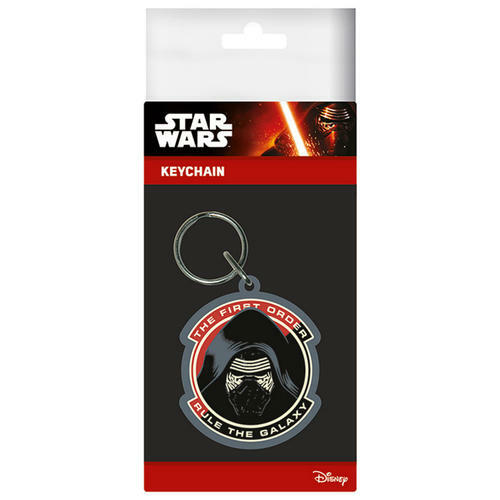 Star Wars: The Force Awakens Rubber Keychain featuring the Kylo Ren character. Made of soft rubber and can be attached to bags, belts, keys and other items. Officially licensed. 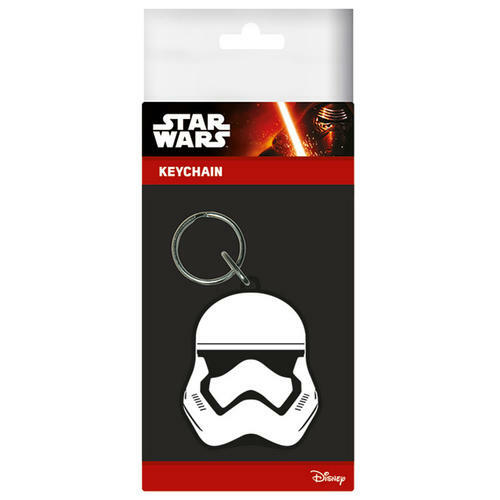 Star Wars: The Force Awakens Rubber Keychain featuring the Stormtrooper character. 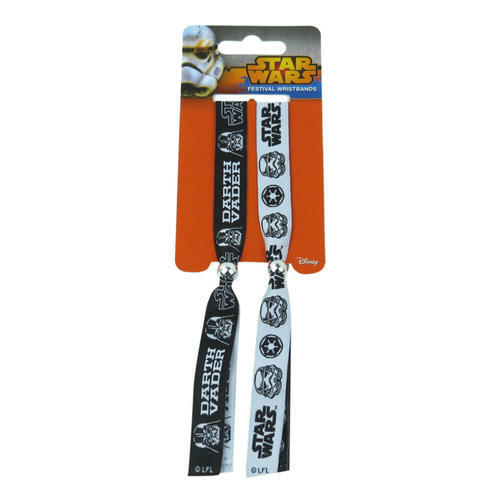 Made of soft rubber and can be attached to bags, belts, keys and other items. Officially licensed. 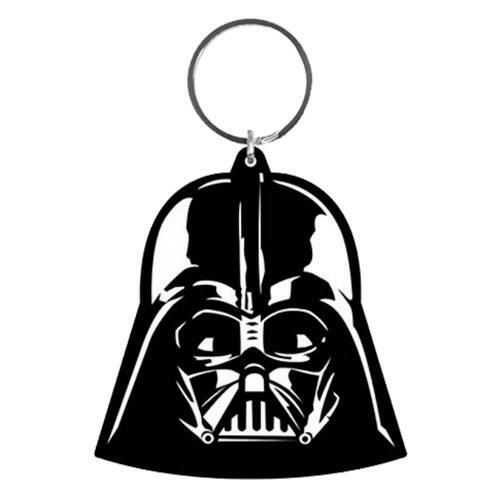 Rubber Keychain of the popular Darth Vader character from the iconic Star Wars movies. Pendant measures approximately 6cm x 4.5cm and is ideal for fans of the films. Officially licensed. 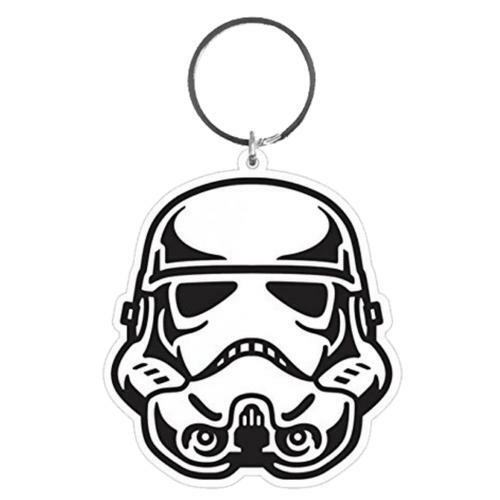 Rubber Keychain of the popular Storm Trooper character from the iconic Star Wars movies. Pendant measures approximately 6cm x 4.5cm and is ideal for fans of the films. Officially licensed. 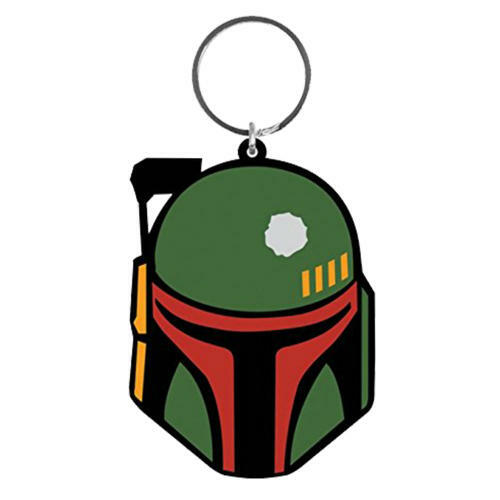 Rubber Keychain of the popular Boba Fett character from the iconic Star Wars movies. Pendant measures approximately 6cm x 4.5cm and is ideal for fans of the films. Officially licensed. 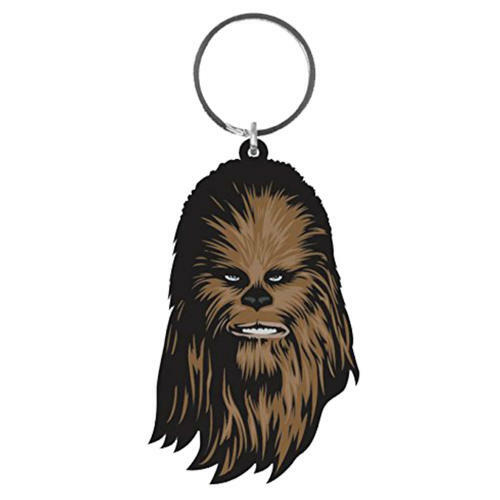 Rubber Keychain of the popular Chewbacca character from the iconic Star Wars movies. Pendant measures approximately 6cm x 4.5cm and is ideal for fans of the films. Officially licensed. 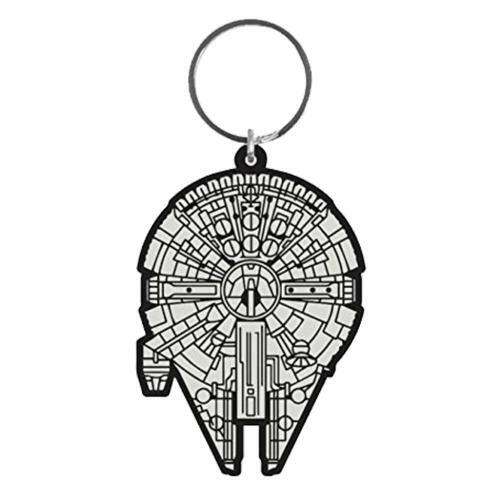 Rubber Keychain of the Millenium Falcon spaceship from the iconic Star Wars movies. Pendant measures approximately 6cm x 4.5cm and is ideal for fans of the films. Officially licensed. 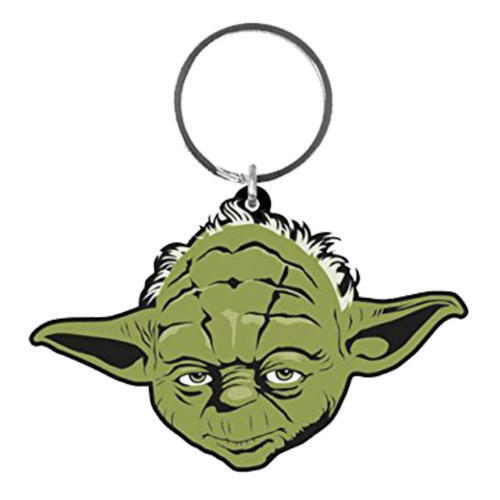 Rubber Keychain of the popular Yoda character from the iconic Star Wars movies. Pendant measures approximately 6cm x 4.5cm and is ideal for fans of the films. Officially licensed. 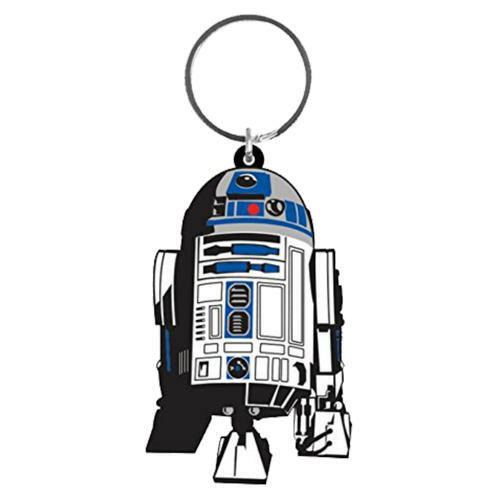 Rubber Keychain of the popular R2D2 character from the iconic Star Wars movies. Pendant measures approximately 6cm x 4.5cm and is ideal for fans of the films. Officially licensed. 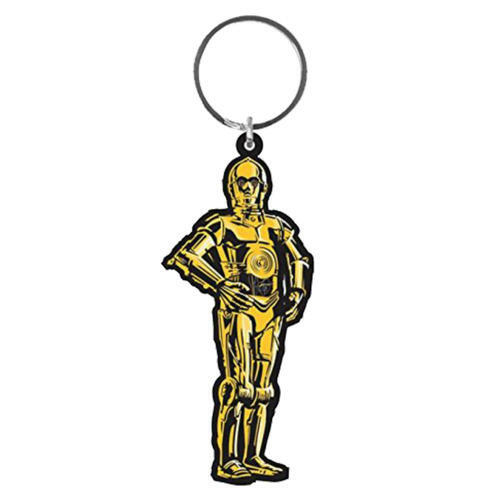 Rubber Keychain of the popular C3PO character from the iconic Star Wars movies. Pendant measures approximately 6cm x 4.5cm and is ideal for fans of the films. Officially licensed. Festival Wristband Pack featuring 2 separate designs. 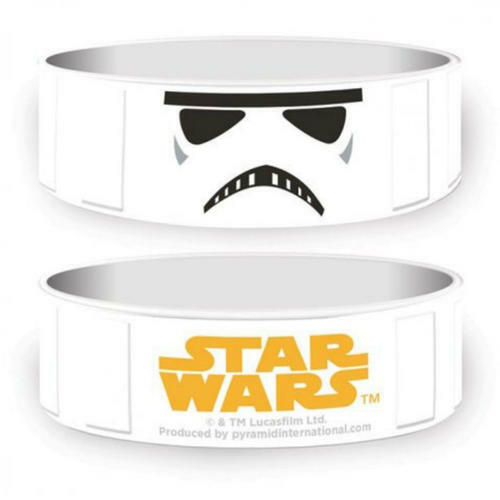 Each wristband is approximately 10mm in width and features a plastic slider that can adjust the wristband to be suitable for all sizes. Officially licensed. Festival Wristband Set featuring 2 friendship style bracelets. 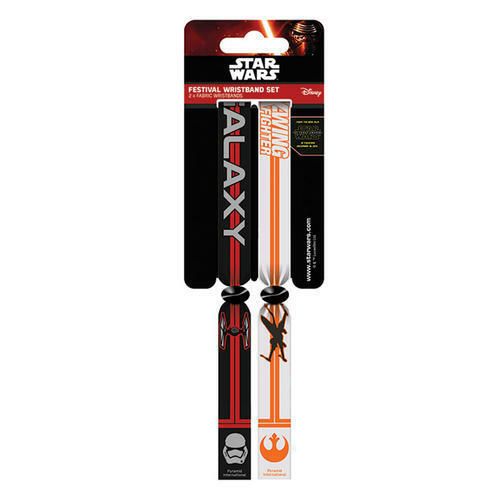 Each wristband is adjustable to fit all sizes and features 2 trendy designs from the ever popular Star Wars movies. Officially licensed. Rubber Wristband measuring approx 65mm in diameter. 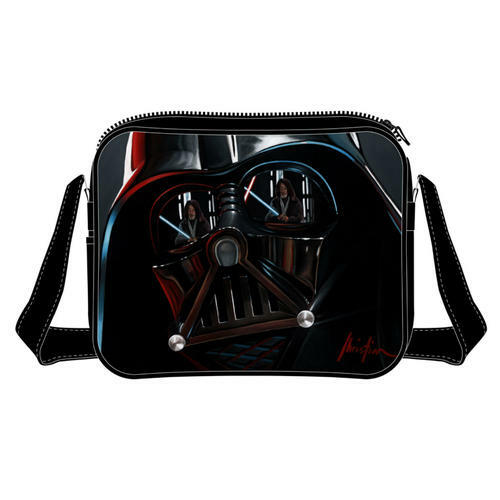 Features Darth Vader image and Star Wars logo design. Officially licensed. Rubber Wristband measuring approx 65mm in diameter. 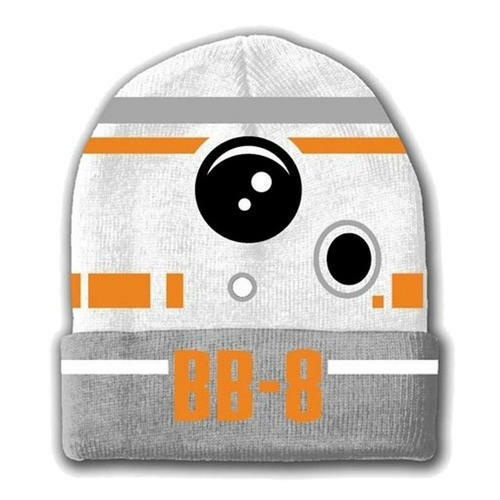 Features R2D2 image and Star Wars logo design. Officially licensed. Rubber Wristband measuring approx 65mm in diameter. 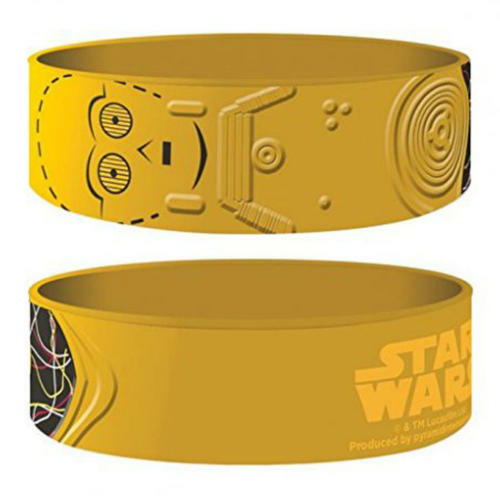 Features C3PO image and Star Wars logo design. Officially licensed. 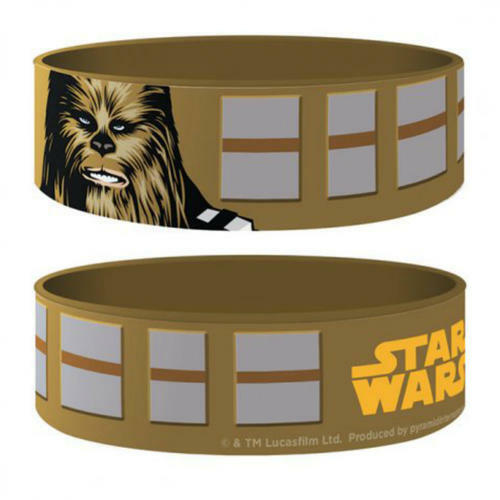 Rubber Wristband measuring approx 65mm in diameter. 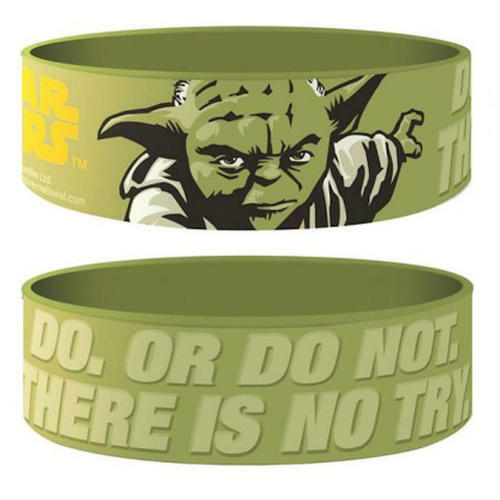 Features Yoda image, text and Star Wars logo design. Officially licensed. Rubber Wristband measuring approx 65mm in diameter. 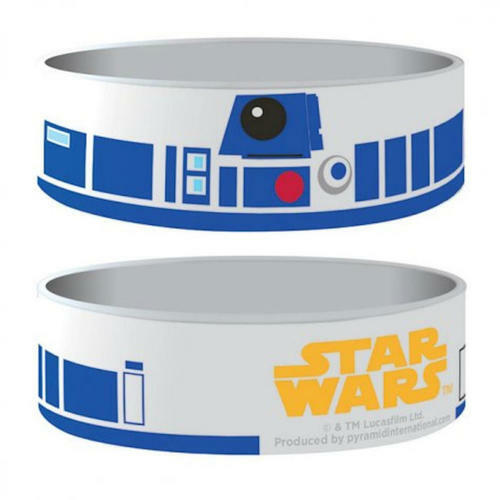 Features Chewbacca image and Star Wars logo design. Officially licensed. 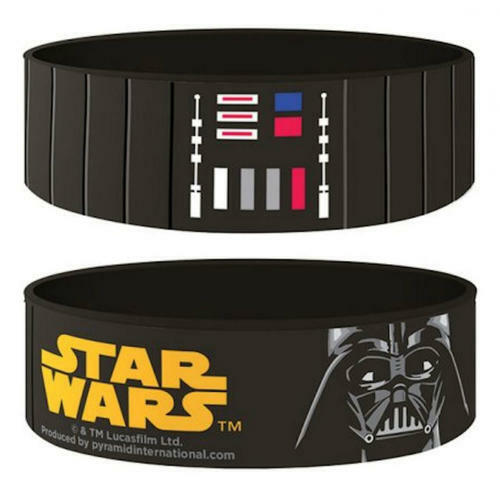 Rubber Wristband measuring approx 65mm in diameter. 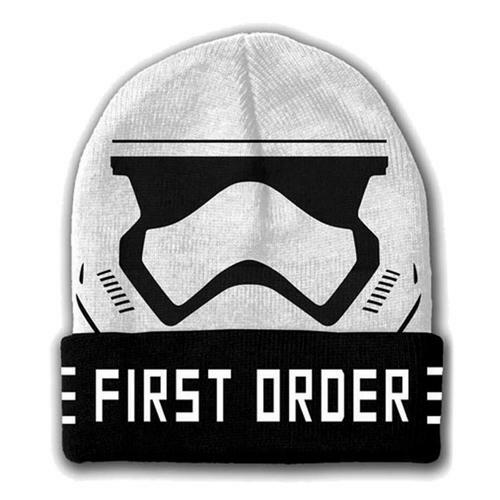 Features Stormtrooper image and Star Wars logo design. Officially licensed. 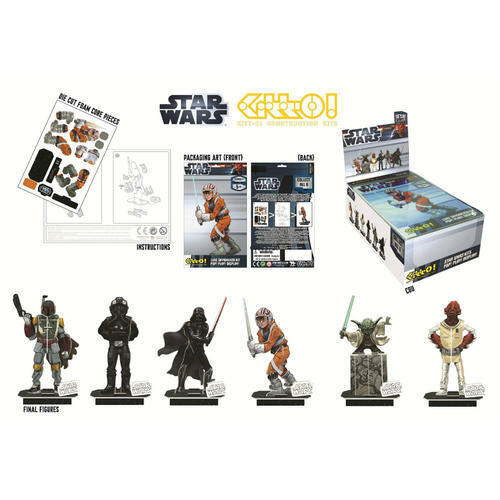 An assortment of construction kits based on the ever popular Star Wars franchise. Come complete in a cardboard CDU. Officially licensed. 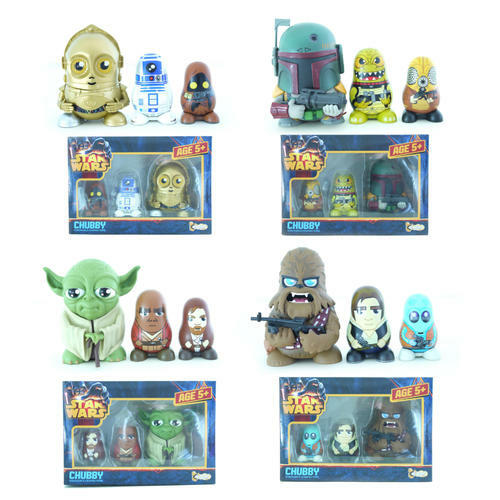 Assortment of unique design Star Wars figures which stack inside each other. Officially licensed. 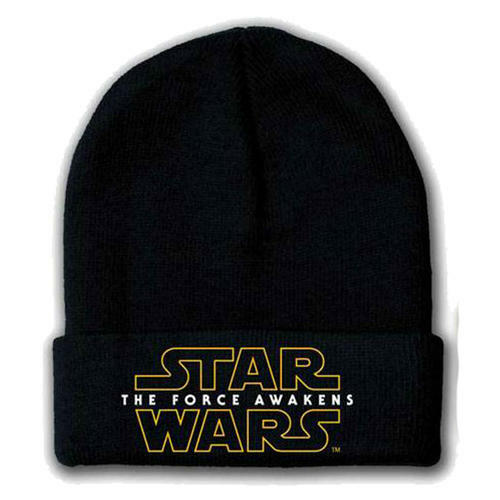 A soft and comfortable Beanie featuring a cool Star Wars: The Force Awakens design and made using high quality materials. Officially licensed. 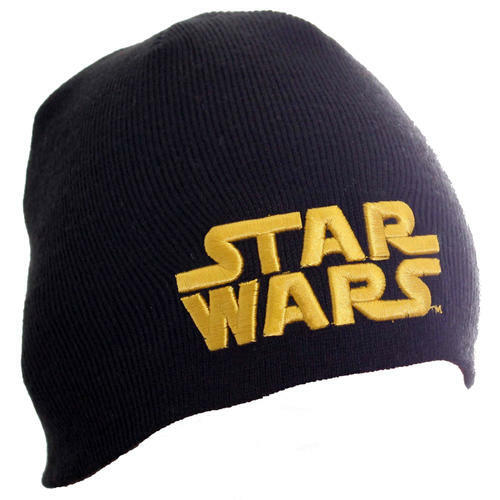 Soft and comfortable Beanie featuring a high quality embroidered Star Wars logo from the ever popular films. Officially licensed. 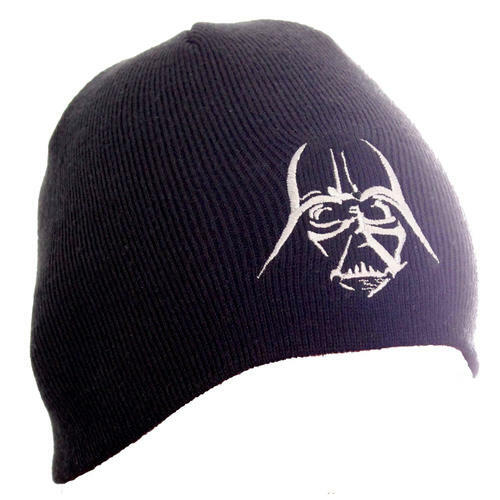 Soft and comfortable Beanie featuring a high quality embroidered Darth Vader image from the ever popular Star Wars films. Officially licensed. 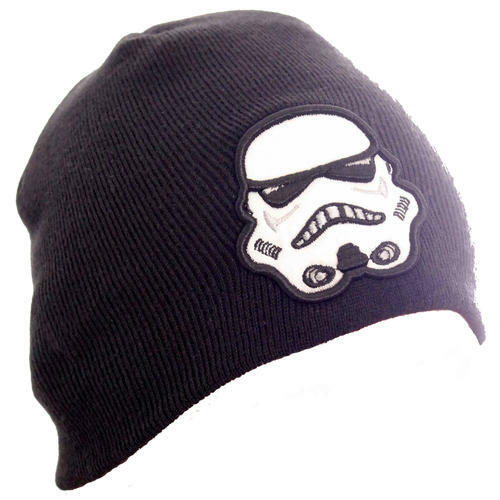 Soft and comfortable Beanie featuring a high quality embroidered Stormtrooper image from the ever popular Star Wars films. Officially licensed. 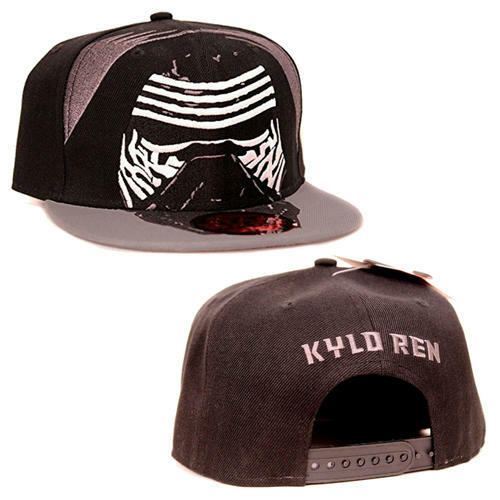 Snapback Cap featuring a cool and trendy embroidered Star Wars design, adjustable fastener and made using high quality materials. Officially licensed. 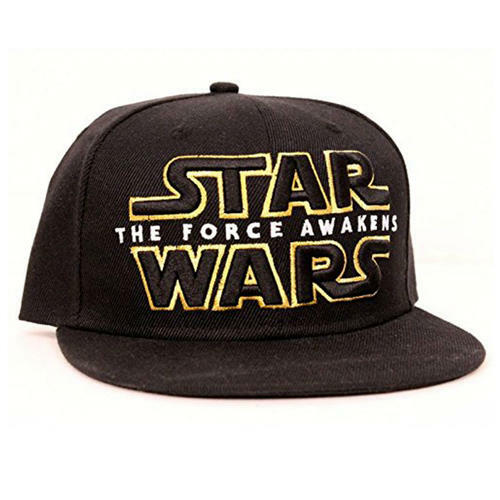 Snapback Cap featuring classic Star Wars text design. 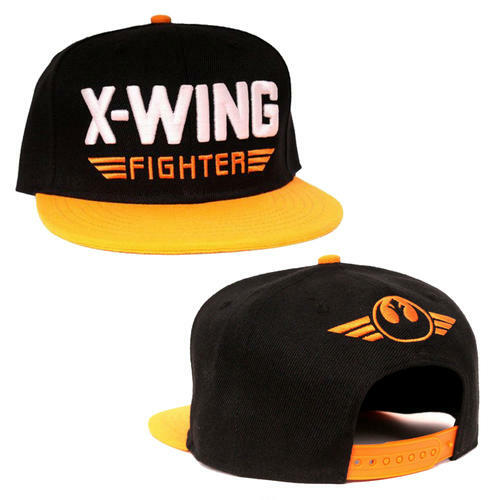 Features adjustable fastener. Officially licensed. 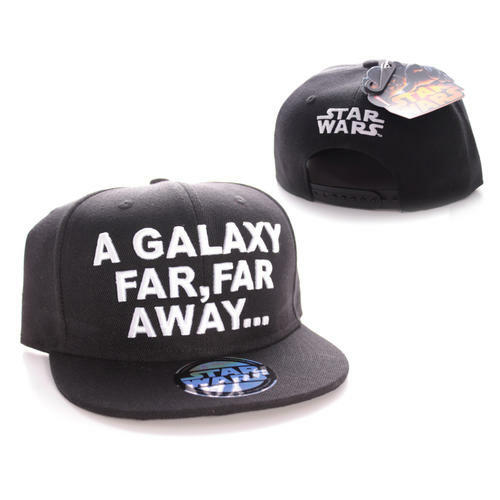 Snapback Cap featuring classic Star Wars 'A Galaxy Far Far Away' text design. 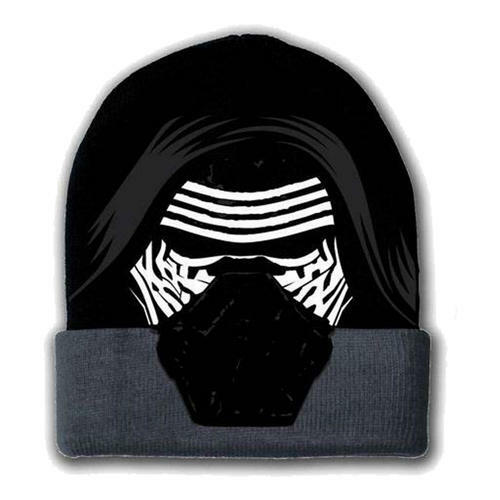 Features adjustable fastener. Officially licensed. 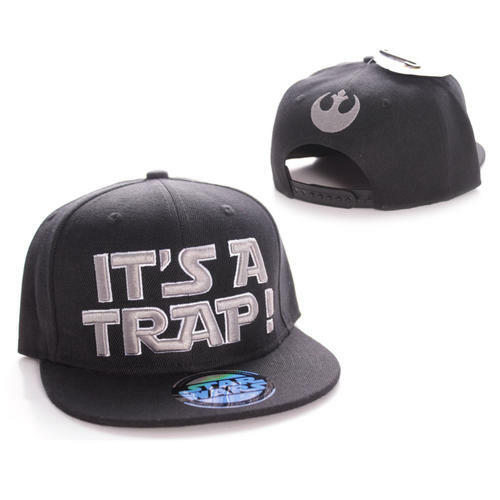 Snapback Cap featuring classic Star Wars 'it’s a Trap' text design. 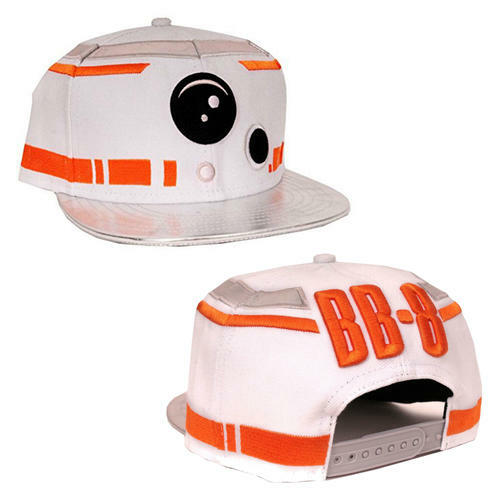 Features adjustable fastener. Officially licensed. 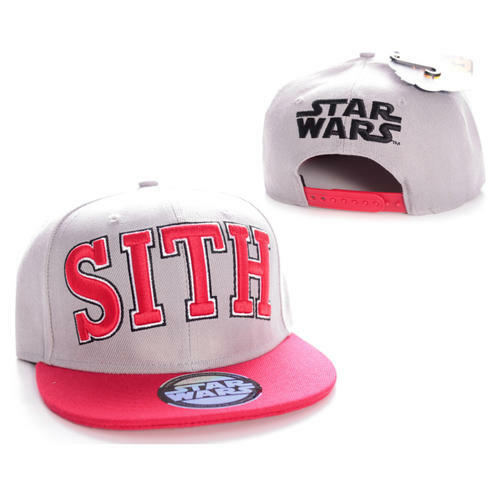 Snapback Cap featuring Star Wars Sith text design. 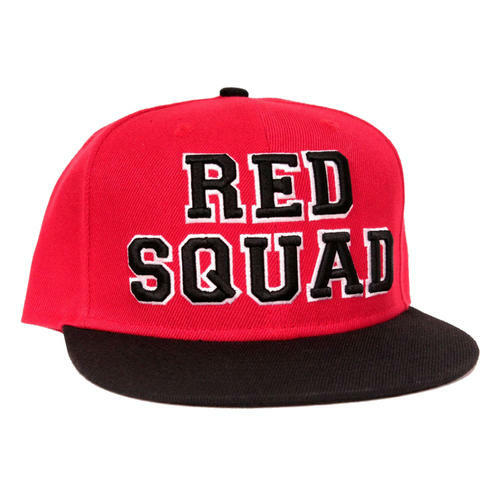 Features adjustable fastener. Officially licensed. 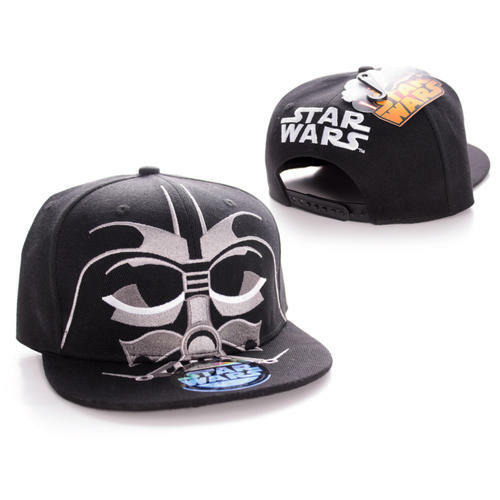 Snapback Cap featuring Darth vader face design. 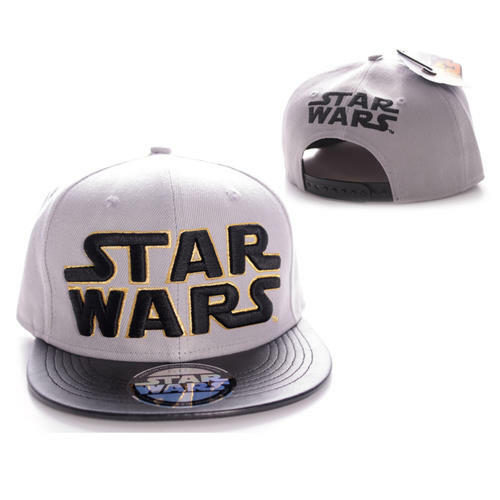 Features adjustable fastener. Officially licensed. 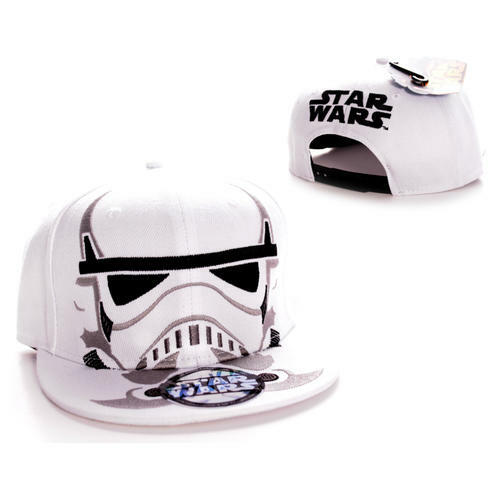 Snapback Cap featuring Storm Trooper face design. 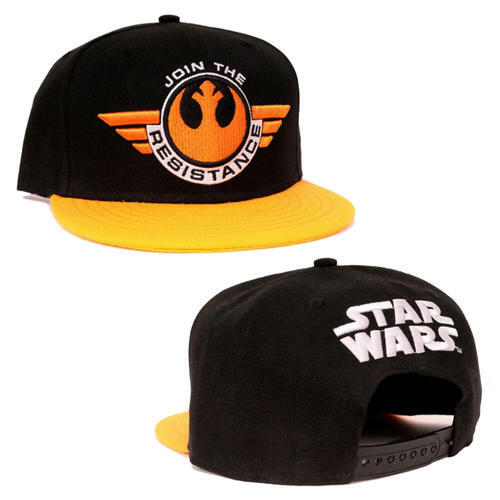 Features adjustable fastener. Officially licensed. 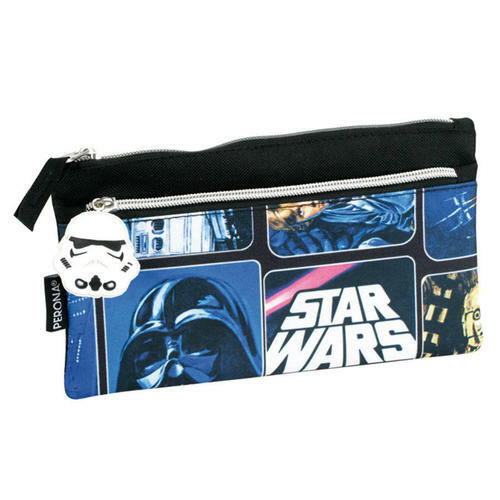 Pencil case featuring a cool retro design and includes a Stormtrooper themed zipper. 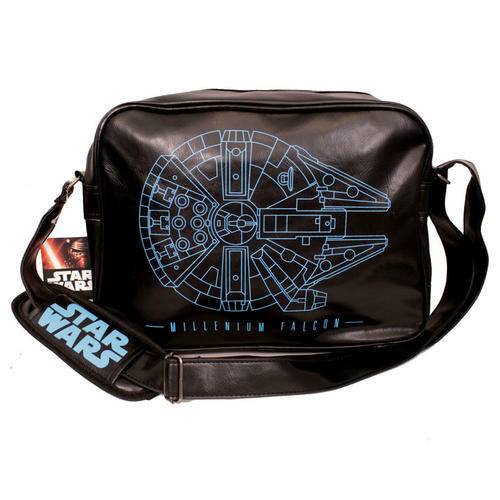 The pencil case measures approximately 22cm x 12cm and features 2 separate storage compartments. Officially licensed. 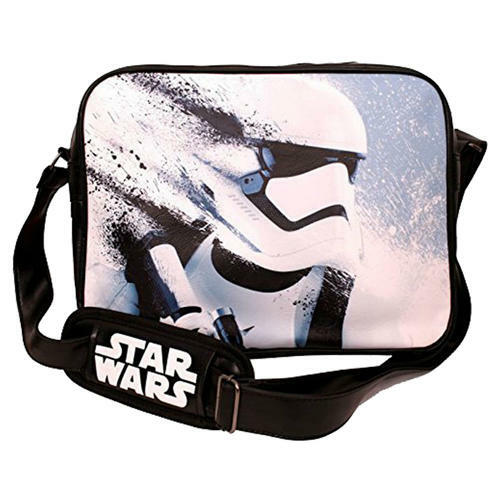 Insulated cooler lunch bag featuring a cool retro Star Wars design with Stormtrooper zipper. Measures approximately 21.5cm x 20.5cm x 8cm. Officially licensed. 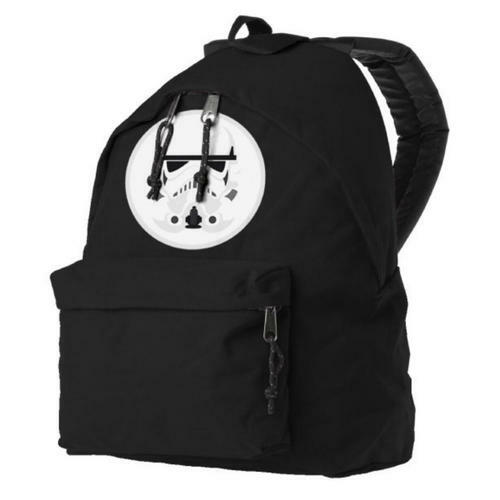 Backpack featuring a cool retro design with Stormtrooper zipper. 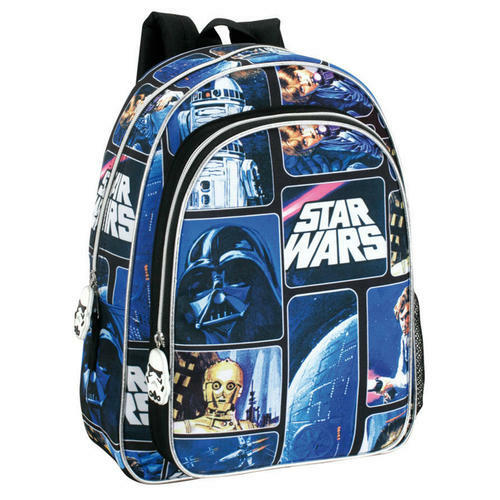 Backpack measures approximately 37cm x 29cm x 11cm and features adjustable straps, front zip-up pocket and a hanging hook. Officially licensed. 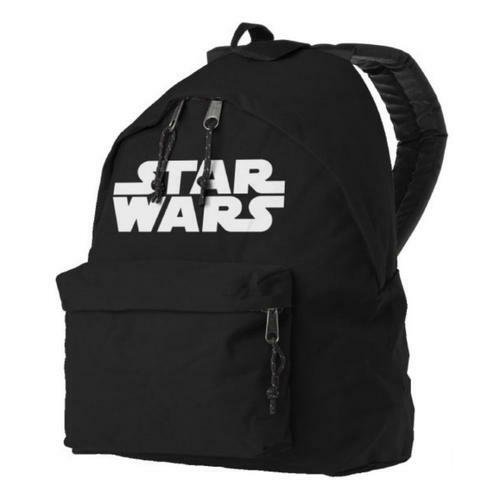 Backpack featuring the iconic Star Wars text logo design. Features adjustable straps, front zip-up pocket and hanging hook. Officially licensed. Backpack featuring an iconic Darth Vader character design from the ever popular Star Wars movies. Features adjustable straps, front zip-up pocket and hanging hook. Officially licensed. 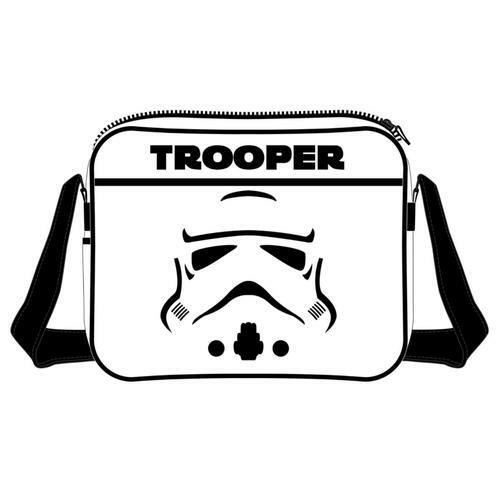 Backpack featuring an iconic Stormtrooper character design from the ever popular Star Wars movies. Features adjustable straps, front zip-up pocket and hanging hook. Officially licensed. 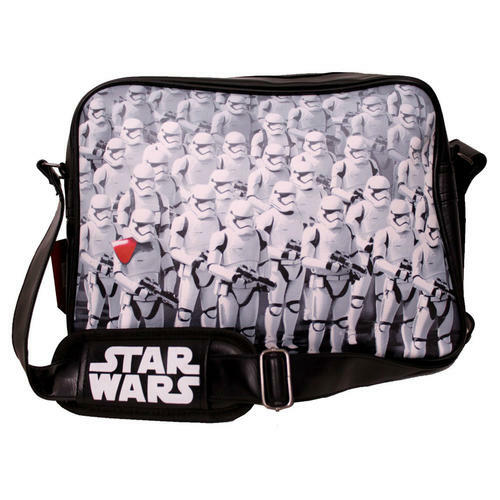 A cool and trendy bag perfect for fans of Star Wars. 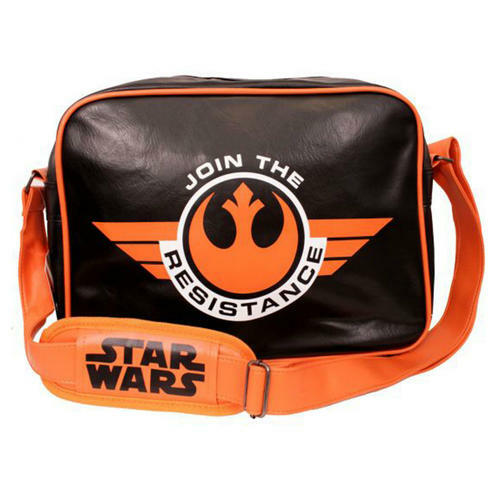 The bag features an adjustable strap and internal pouch. 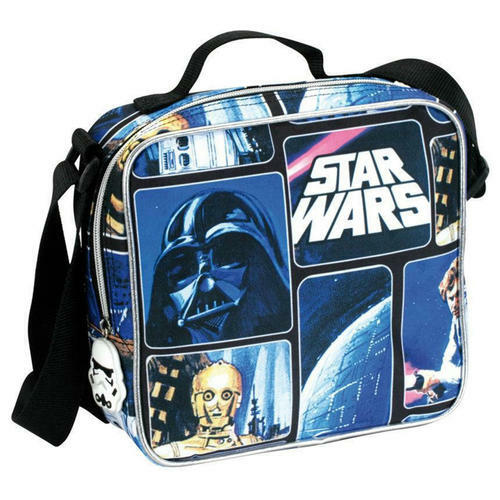 It also features a large storage compartment, big enough for A4 folders. Officially licensed. 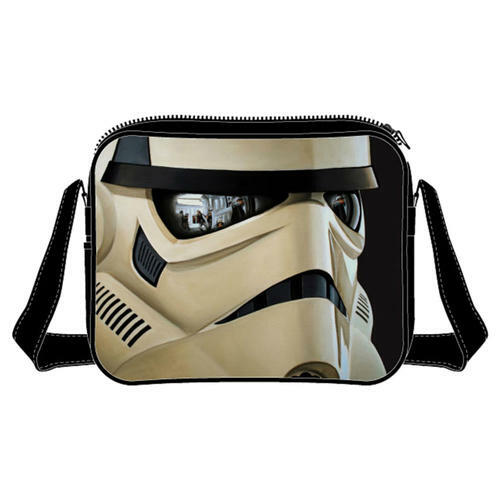 Messenger Bag with a Storm Trooper design. 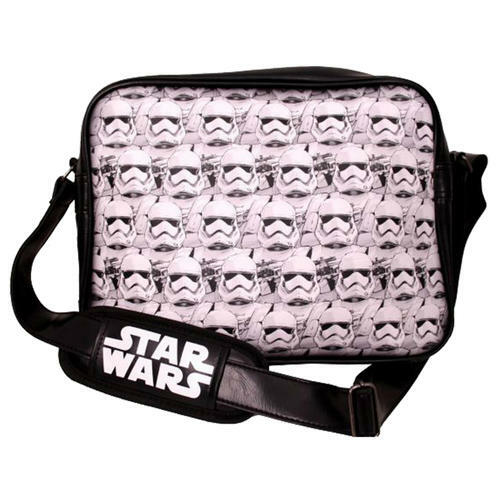 Also features a large main compartment and adjustable strap. Officially licensed. 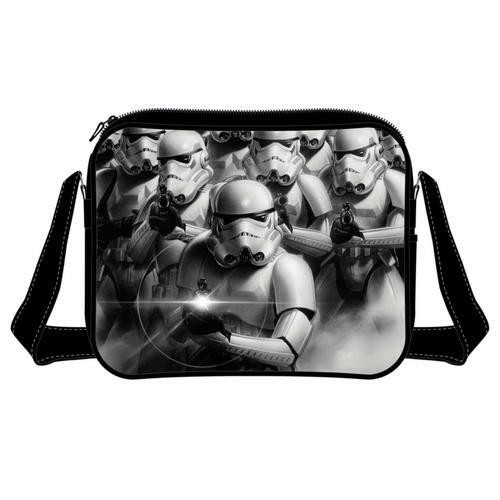 Messenger Bag with multiple Storm Trooper design. 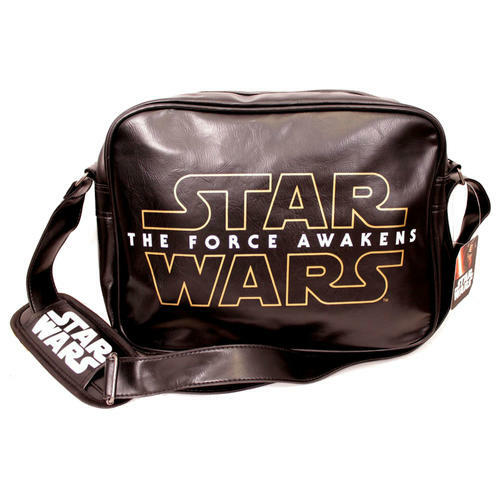 Also features a large main compartment and adjustable strap. Officially licensed. 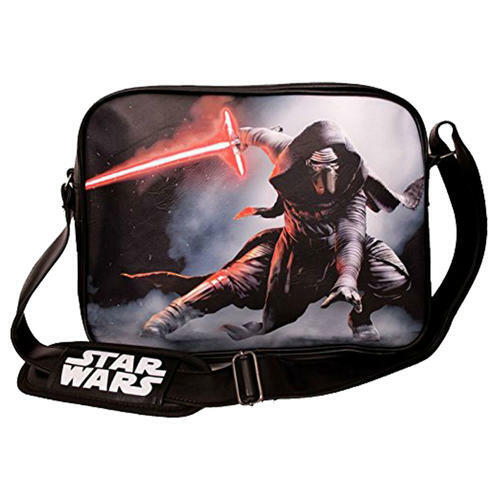 Messenger Bag with a Darth vader design. 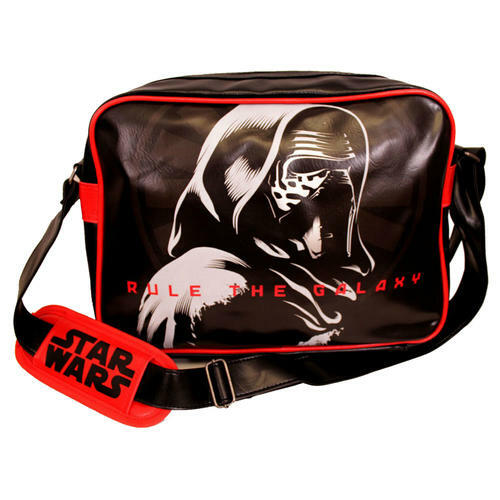 Also features a large main compartment and adjustable strap. Officially licensed. 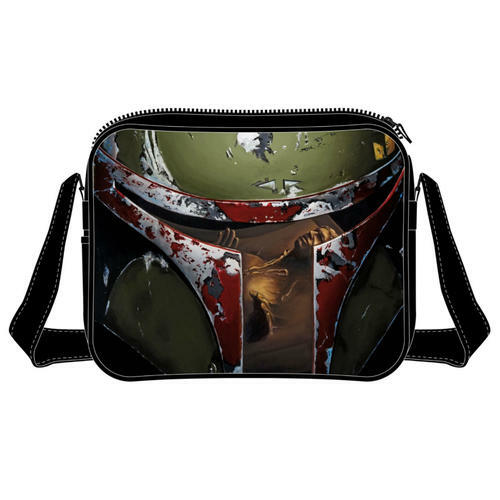 Messenger Bag with a Boba Fett design. 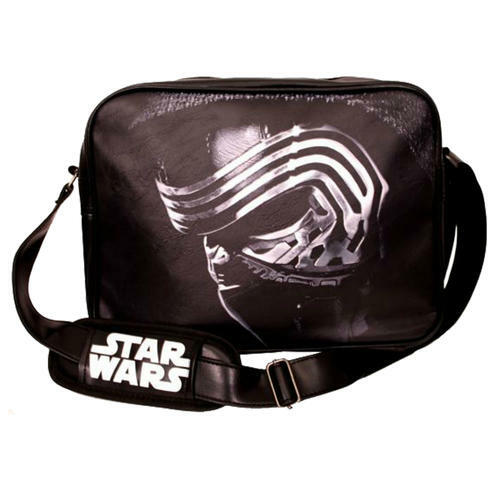 Also features a large main compartment and adjustable strap. Officially licensed. 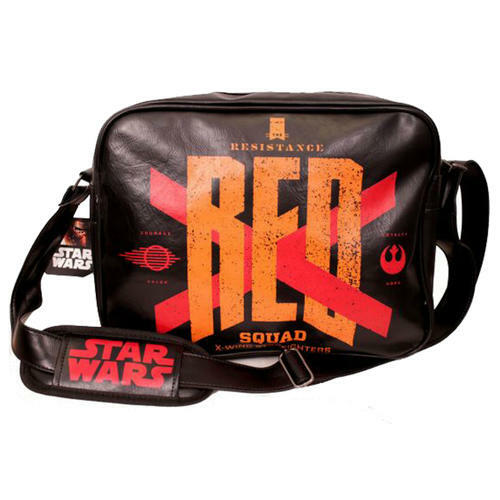 Messenger Bag featuring main storage compartment, adjustable straps and front pouch. 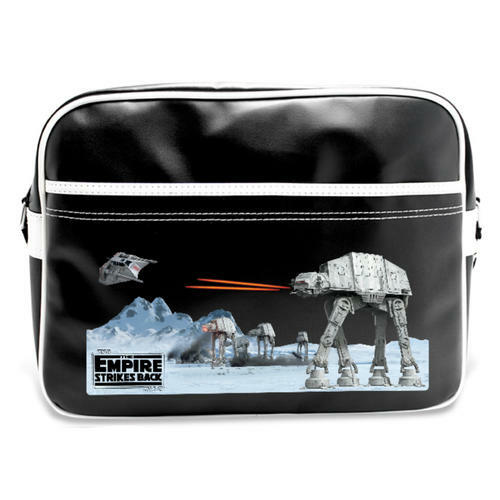 Features a classic Empire Strikes Back battle scene with Star Wars logo. Officially licensed.